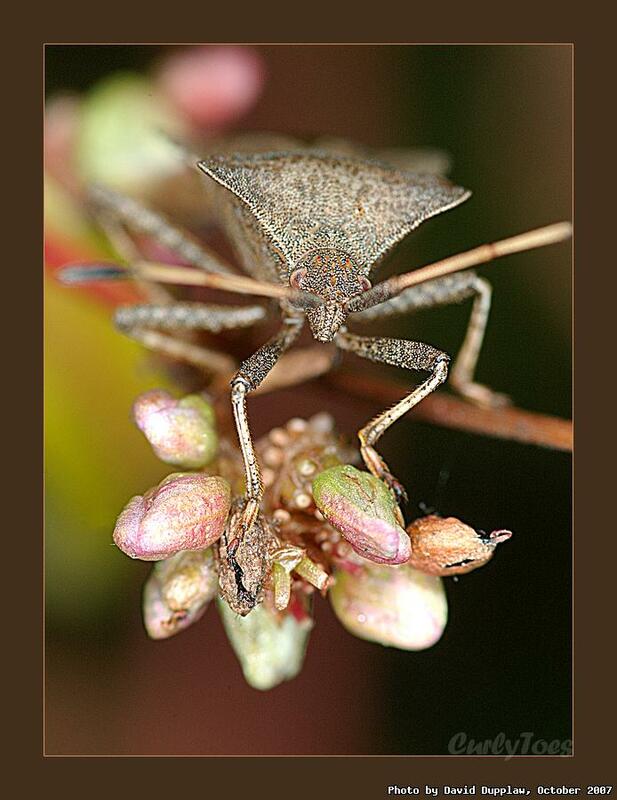 This is a Squash Bug (Coreus marginatus) found on Kinson Common during the Fungi Walk on 13th October 2007. Next week I fly up to Edinburgh for 4 days of meetings for work. Not much fun. Even though Edinburgh's a nice city I probably won't get to see much of it, especially as the clocks go back on Sunday and it will be dark by 4pm!